THANK YOU PITTSBURGH!!! IT WAS A GREAT YEAR!!! When we did the first Pittonkatonk in 2014, we weren’t sure what to expect or how it would happen. We had a small amount of money to bring some bands to town but that was about it. As we talked about it with friends we found more and more people excited by the idea and willing to help. During the event we were amazed at the outpouring of positive support, volunteerism, and energy. This year we were dedicated to Pittonkatonk being dependent on grassroots community collaboration. Again we didn’t charge admission, sell anything or take corporate sponsors. We asked for your support and you answered the call. You brought food, drinks, and volunteered your time and energy. You helped plan, spread the word, raise money, and then clean up afterward. We will be posting Photos and Videos in the next few days. Please check back or follow us on Facebook and Twitter. 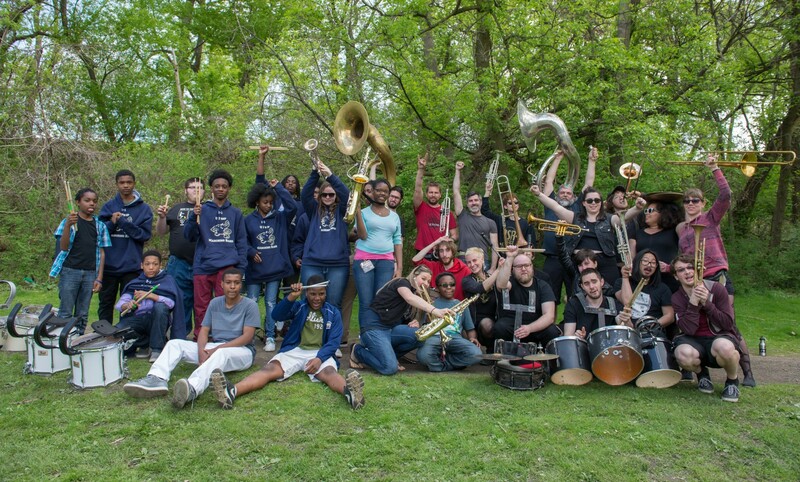 We did a three-engagement outreach program with the UPrep 6-12 music program, which culminated in the band’s collaborative performance with What Cheer? Brigade. Twice the amount of people came this year and the scene was fun and respectful. The food table was amazing! We couldn’t believe how many folks brought incredible food to share. Everyone helped in some way or another to keep the park clean and safe. So many families and kids! SEE YOU ON MAY 7, 2016!!!! 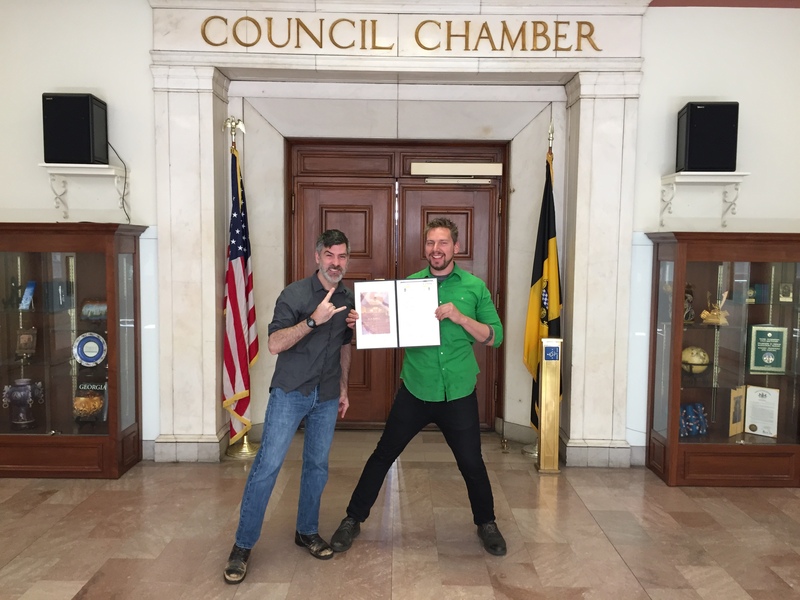 Today we went to City Council and got the official proclamation that May 2nd in the City of Pittsburgh will be PIttonkatonk Day!!! 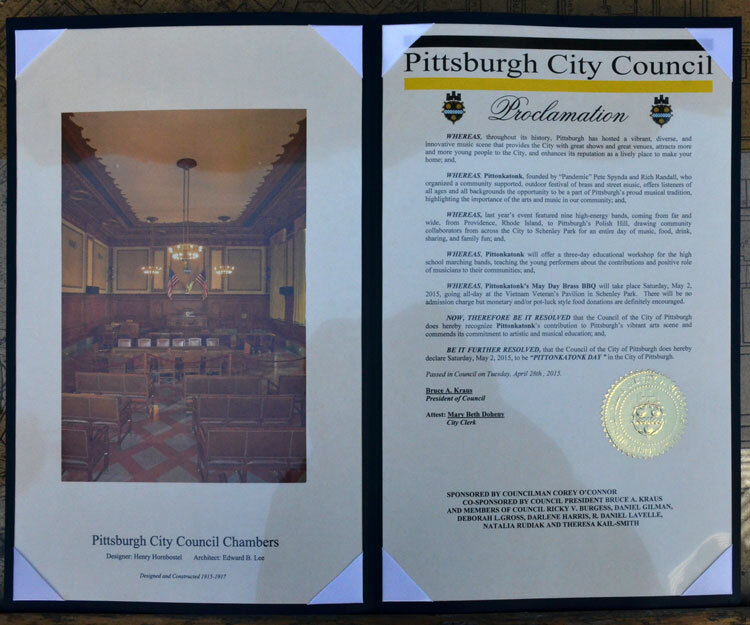 We have to thank Councilman Corey O’Connor, Curt Conrad, and all of City Council for making this possible. We hope that you come and celebrate w/ us on Saturday at the Vietnam Veterans Pavilion. 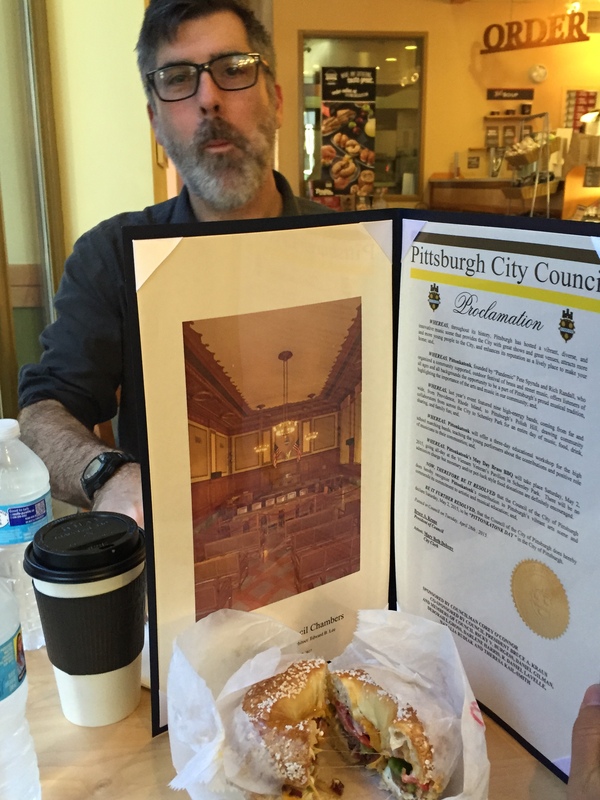 Below are photos from a quiet and romantic breakfast w/ our Proclamation. While we were at city council we were informed we were not awarded a grant we had hoped would fund our educational component. So now we need your extra push via indiegogo to get to our budget goal. Please consider donating today. Every little bit helps and you will see it on Saturday at Pittonkatonk. We really rely on the generosity of our attendees to help fund this event. Our business model doesn’t exactly… well we don’t have a business model. So we rely on your contributions and really want to continue to make this event happen. We got a little press coming out. Read below. Also don’t forget just because we met our Indiegogo goal doesn’t mean our event is entirely funded. We still need your support because we have expenses that still are not covered. Help us out by contributing to our Indiegogo. Ok now on to the fun stuff..
Summer might be 56 days away (yes we’re counting), but May officially kicks off the outdoor event season in our book. Named for the Roman goddess Maia—who oversaw the growth of plants—the Merry Month of May is packed with spring happenings and festivals spanning Bayardstown to Braddock. In between celebrating May Day, Cinco de Mayo and Memorial Day—not to mention honoring all of the mothers out there—we direct you to this month’s top events list, which was nearly impossible to whittle down to 10. 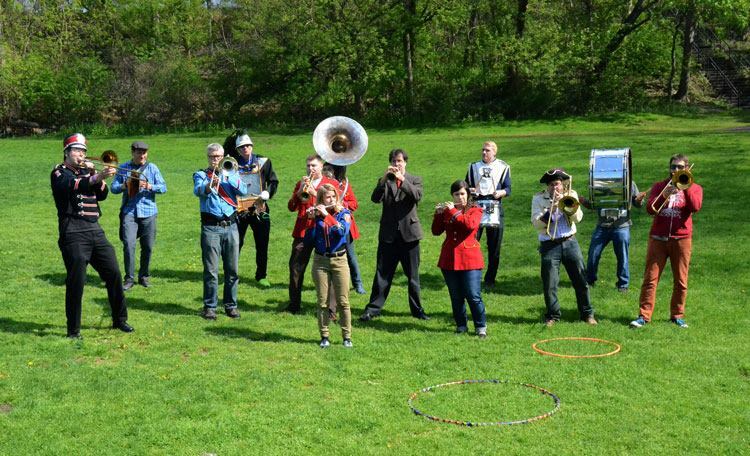 Honk, stomp and cheer your way into May at the authentically Pittsburgh first-of-its-kind Pittonkatonk Brass Festival. Quickly garnering “coolest event of 2014″ praise among local music lovers after its 2014 debut, the highly anticipated second edition of the free family-friendly celebration will bring feel-good vibes to the outdoor pavilion. 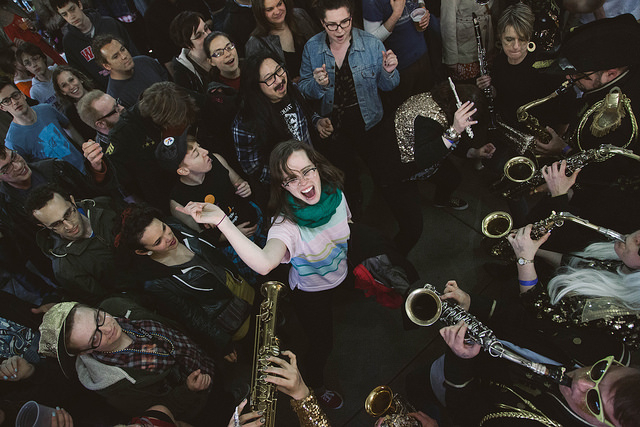 Nationally touring acts headlining Pittonk this year are Providence, RI-based 18-piece brass punk band What Cheer? Brigade, NYC’s Pitchblak Brass Band, prolific Balkan brass ensemble Black Bear Combo from Chicagoland and the funky 27-member Detroit Party Marching Band. Rounding out the roster are local ensembles Beauty Slap, May Day Marching Band, Colonel Eagleburger’s Goodtime Highstepping Band and more. New this year is the addition of two local high school marching bands and an educational partnership and collaborative performance featuring students from the UPrep High School Band and What Cheer. 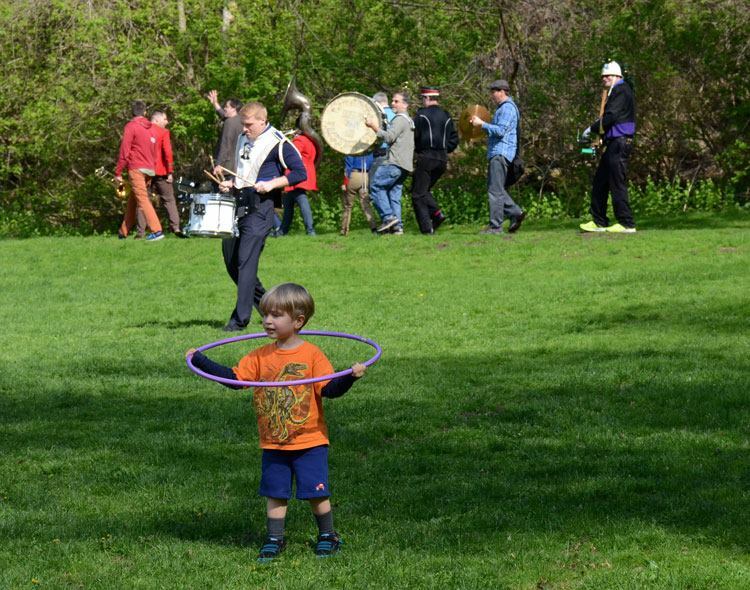 Last year some 700 people gathered (many with homemade sausage and Slivovitz in hand) to enjoy the electrifying brass music, celebrate May Day and International Workers’ Day and take in the bucolic surroundings. Equal parts music festival and family potluck, Pittonkatonk is a labor of love presented by local DJ, promoter and event producer Pete Spynda along with Rich Randall and the Listening Spaces Project. Help make it happen by donating to their Indiegogo campaign or volunteering. We are happy to announce the first round of our Educational Programs at UPrep. Not only will we be including 2 high school bands in this years event, we are piloting a collaborative performance between What Cheer Brigade and Uprep. So come check that out on May 2nd. The event begins at 2pm. Everyone is encouraged to bring a dish. 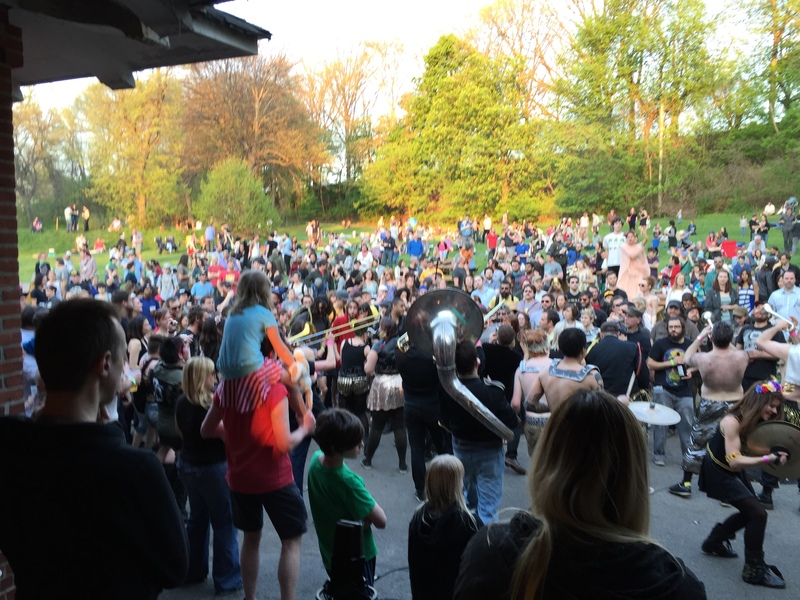 PITTSBURGH – Pittonkatonk announces plans for its annual May Day Brass BBQ and festival, which will take place on Saturday May 2nd from 2:00 – 8:00 pm at the Vietnam Veterans Pavilion in Schenley Park. 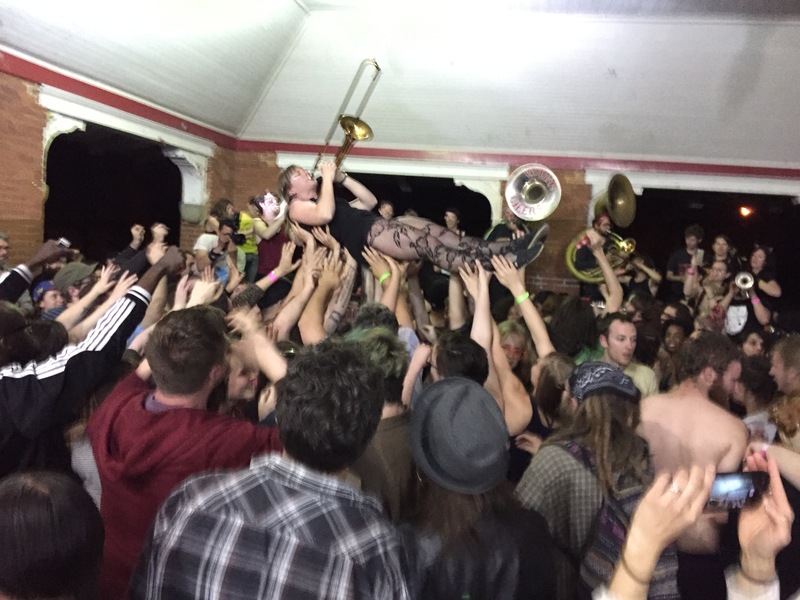 Pittonkatonk is an all-ages community-supported brass music festival and picnic where audiences and performers break down the traditional barriers between stage and dance floor. 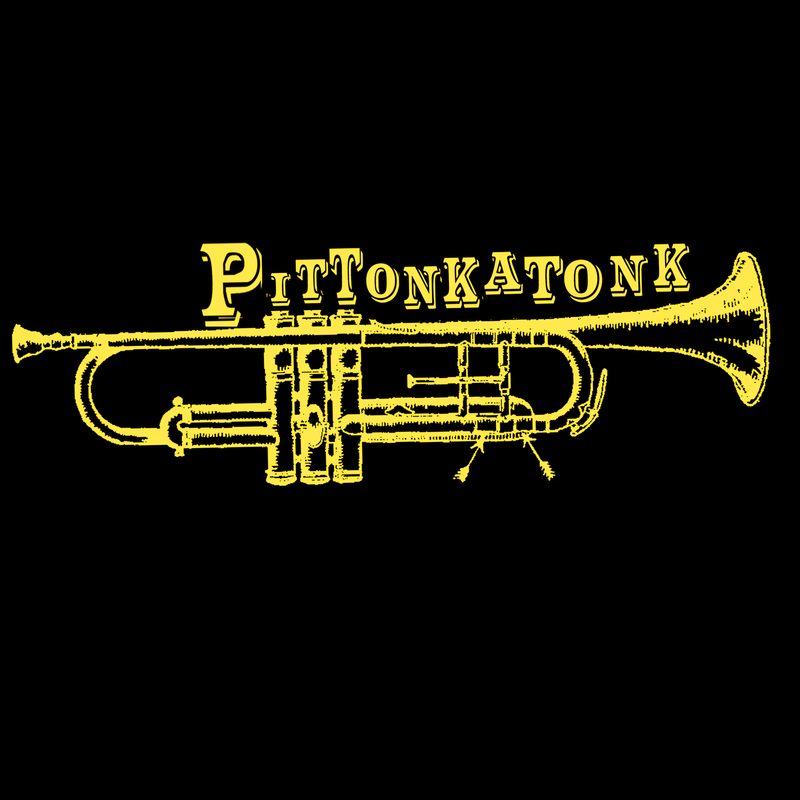 Now in its second year, Pittonkatonk uses the unifying medium of brass music to bring together diverse communities, from high school marching bands to traditional Balkan brass bands and hip hop/jazz ensembles. This year’s festival will bring in famed national acts including What Cheer? Brigade (Providence) Pitchblak Brass Band (New York City), Black Bear Combo (Chicago) and Detroit Party Marching Band (Detroit); local acts Beauty Slap, May Day Marching Band, Slide Worldwide, Col. Eagleburger’s Goodtime Highstepping Band; as well as collaborative performances with local high school marching bands including University Prep (Hill District). 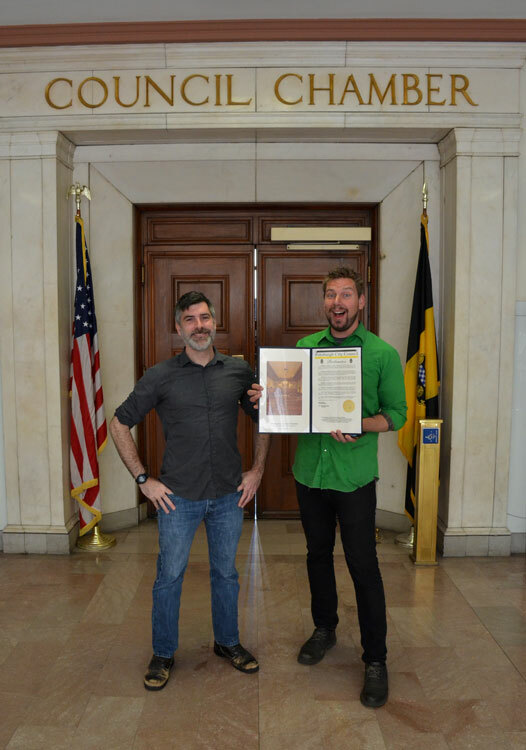 The festival will also include a giant community barbeque, as well as family-friendly activities courtesy of Pittsburgh Center for Creative Reuse, Children’s Museum of Pittsburgh’s Makeshop and other local community organizations. In advance of the festival, Pittonkatonk will also hold a supplemental 3-day educational program between its festival headlining band, What Cheer? Brigade (Providence,) and the University Prep Junior and Senior High Marching Bands in the Hill District. The intensive workshop will highlight the band’s role from a historical perspective, provide insights of the business of touring/working as a full time musician, and focus on the role of a community band in creating positive change and social justice. 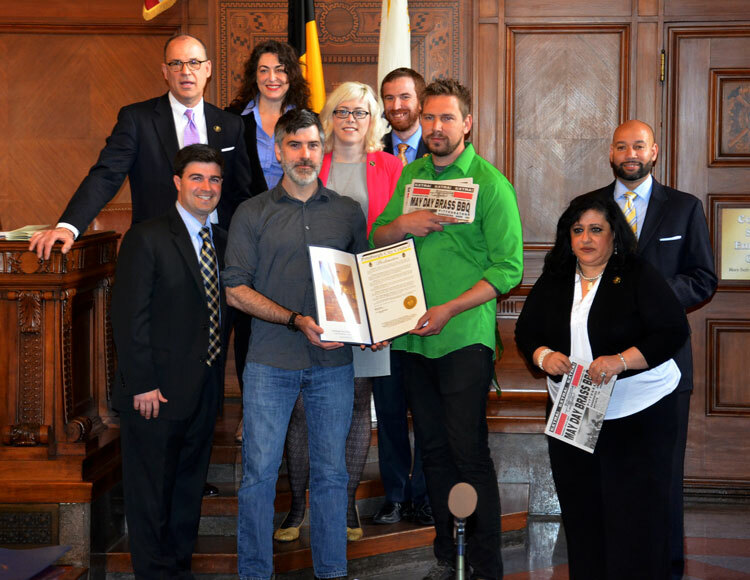 The partnership will culminate in a collaborative performance at the May 2nd festival. 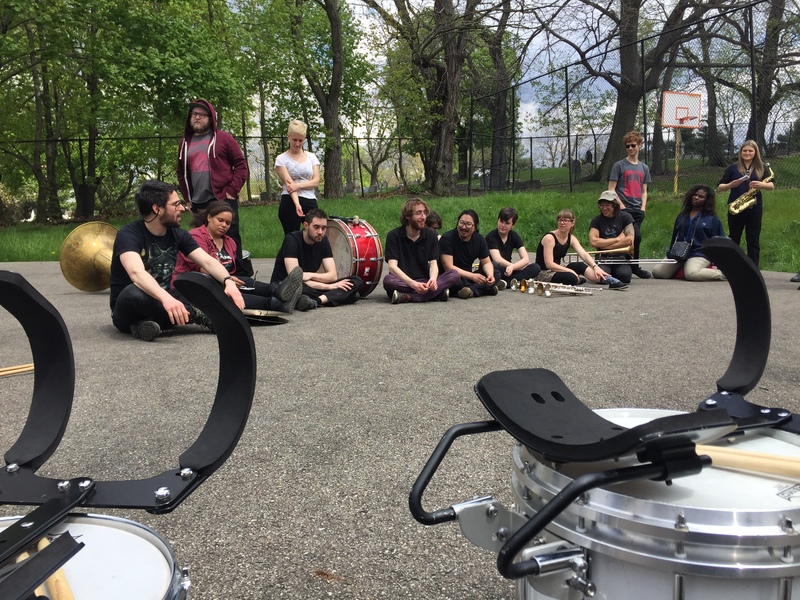 With a focus on community, Pittonkatonk juxtaposes different types of music, cultures, and backgrounds to bring together a unique mix of people who might not otherwise convene at a show. 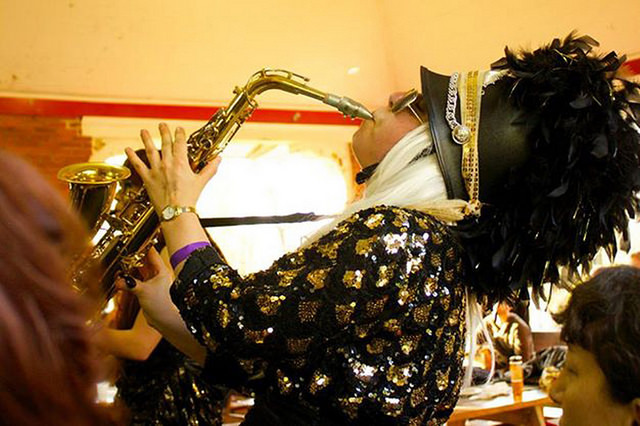 Unique to Pittonkatonk, musicians and audiences engage on a social level, blurring the lines between performer and the spectator and creating a barrier-free experience for all to live, learn, celebrate, and dance. 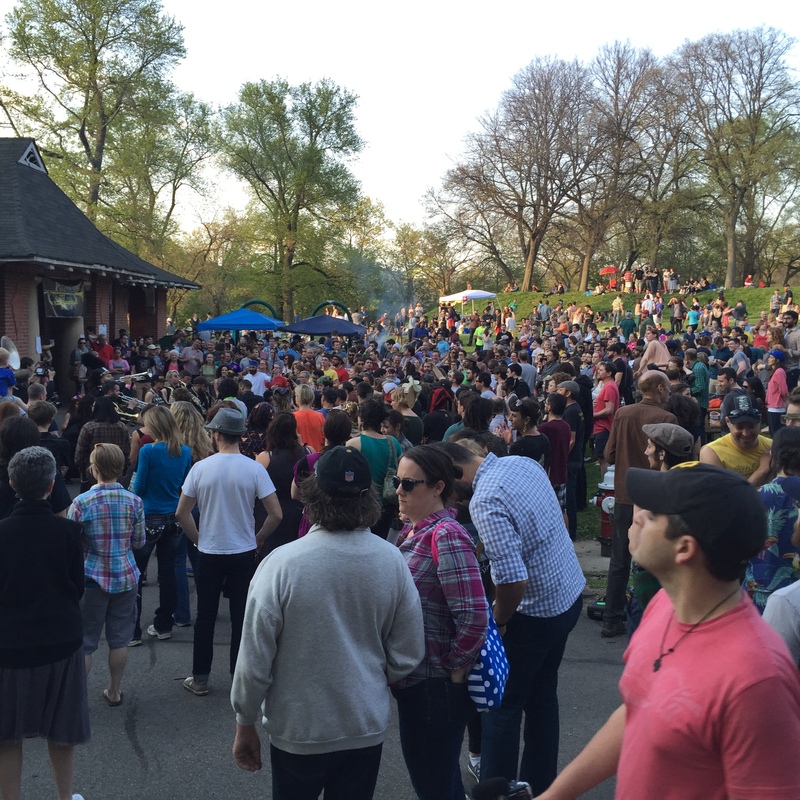 Last year’s Pittonkatonk event and affiliate programs reached 700 people, and the organizers hope to continue to make Pittonkatonk a May Day weekend tradition. All ages are welcome. Although there is no required admission charge, the event is fully community-supported and monetary donations and/or pot-luck style food donations are strongly suggested. An IndieGoGo crowdfunding campaign is also in effect until May 4 and backers are greatly appreciated. For more information visit http://www.pittonkatonk.com or email pittonkatonk@gmail.com. Pittonkatonk was founded by Pete Spynda (of “Pandemic” fame) and Rich Randall of the Listening Spaces Project. For 10 years, Pandemic has hosted monthly global music dance parties that celebrate both traditional folk and contemporary dance music from around the world and brings new and innovative artists, musicians, and DJs to Pittsburgh. The Listening Spaces Project explores and promotes music at the community-level for positive social change and development. 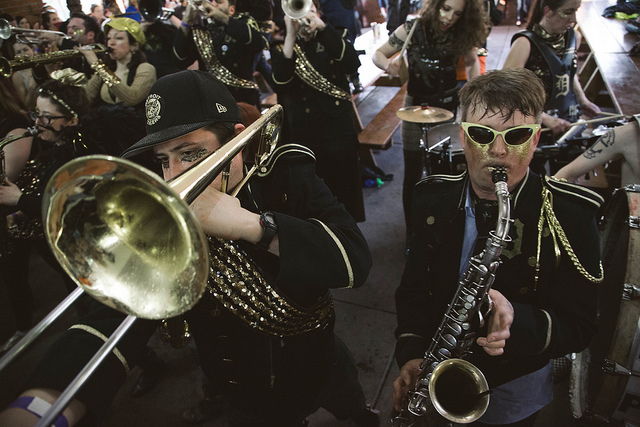 Together, along with a team of community volunteers, these two entities make up Pittonkatonk – where brass music of all styles, including Balkan, New Orleans Jazz, Symphonic, and street/protest/punk bands can come together to perform. If you are reading this you are contemplating coming to this amazing event. Yeah we know it’s gonna be amazing. 4 touring bands, and over 100 performers. You should think about how awesome it is that your broke friend can still come to this day long bbq without paying a cover charge. But you know what? This event isn’t free. We need you to pick up the slack and help us pull off the party of the year. 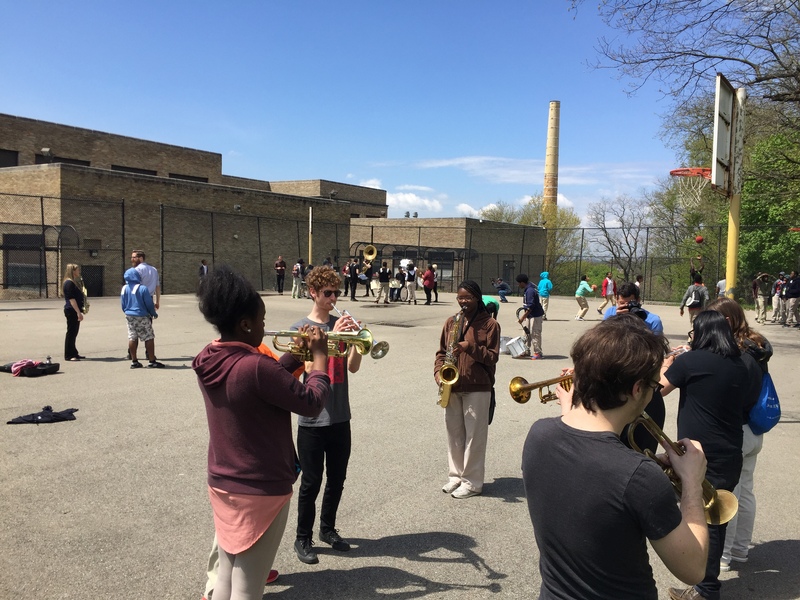 Where else can you hear Balkan Brass, Hip Hop, High School Marching Bands, 30 piece punks from Detroit who arrive in a school bus all in 1 location. There is value to this and you should contribute and tell your friends to CONTRIBUTE. Give what you can. Give $300 and get your own Pierogie Party. Give $1000 and go to Detroits Crash festival w/ Pandemic Pete. Unfortunately we were relying on a grant to fund an educational component and we didn’t get it. But that doesn’t slow us down. We are still going to make it happen. We are putting one of the best brass bands in the world in a room w/ a high school marching band. They will create and collaborate, discuss and demonstrate traditional brass styles, review DIY culture, teach one another about what it means to be a Community Band. Think about the impact you can have by DONATING a few dollars. You can help change these kids lives. No other festival does that. So please contribute! Our INDIEGOGO is LIVE. Please DONATE and make Pittonkatonk happen! If you listen close you can hear a trumpet in the distance warming up. You can smell the cevapi in the air. Please remembers that Pittonkatonk is a crowd funded festival and we need your support. There may not be an admission charge but your monetary contributions are what bring the touring bands to pittsburgh. Its not cheap transporting, feeding and lodging over 80 traveling musicians. Please support our indiegogo campaign and tell you friends.